The mother of an eleven-year-old boy has filed a lawsuit against Universal Studios after she claims her son’s foot was crushed while on the ride. The lawsuit alleges that Universal Studios was aware of problems with the ride before allowing children to get on it and that the ride posed a credible danger to visitors. According to the boy’s mother, her son, Tiago Perez had his foot caught between the ride and the offloading platform resulting in his foot being crushed between the to and part of his leg as well. Due in large part to the fact that the boy’s foot may be permanently damaged and he may suffer permanent impairments because of the injury, he stands to recover damages that could go into seven figures should the lawsuit be successful. Additionally, attorneys for the family, by claiming that Universal Studios knew the ride was unreasonably dangerous, are likely attempting to claim gross negligence by the Universal Studios. This may open up the possibility of the family recovering punitive damages if they can prove that an injury was inevitable and that Universal Studios was aware of the problem. The injury lawsuit indicated that the child’s feet were not on the bicycle pedals. Had they been, Universal Studios will claim that the child never would have suffered injuries. In almost every personal injury lawsuit, the defendant will attempt to lay the blame at the feet of the injured party. But it becomes more difficult to do this when a child is involved. In response, the family will likely claim that the studio should have taken active care to ensure that all of the ride’s passengers were safely inside the ride before it began. They will also point out that similar rides designed in the same fashion have protective netting to prevent such injuries from occurring. In addition, Universal Studios has enacted a new policy of taking extra care with the ride to ensure that all passengers are safe before the ride begins. Is the Ride a Serious Threat to Passengers? The lawsuit alleges that the ride presents a serious threat to passengers and that Universal Studios was aware of the danger before they allowed children to get on the ride. The plaintiffs will need to dredge up any evidence that other children were injured in a similar fashion while on the ride. If they can’t, it becomes difficult to see how this element of their case (which alleges gross negligence) can proceed effectively. On the other hand, Universal Studios can be blamed for the injuries the child suffered when they failed to ensure that all the children were out of danger when they began the ride. In addition, since similar rides have protective netting, the plaintiff’s attorney will be able to argue that Universal Studios failed to take measures that ensured the safety of their passengers. The Miami legal professionals at the office of Alan Goldfarb P.A. 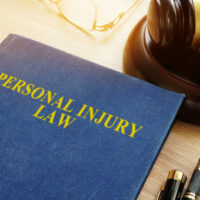 represent injured parties in personal injury lawsuits. Call us today for a free consultation.